​Wanghai Tower is located in Taizhou, Jiangsu Province. 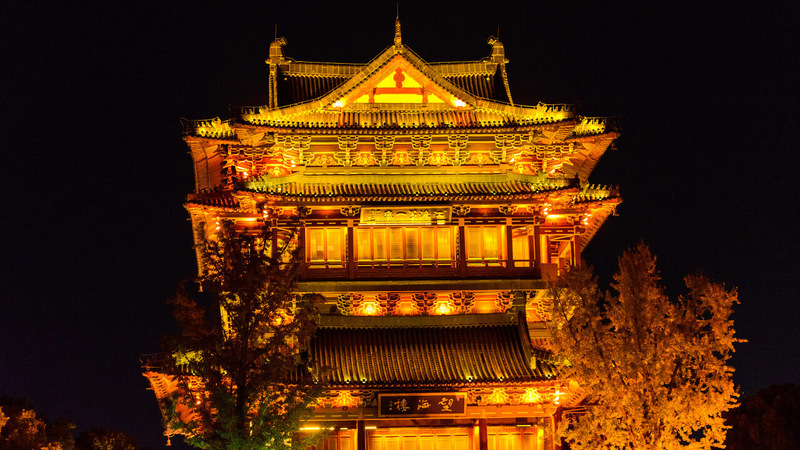 The ancient Wanghai Tower was built in 1229 and has a history of nearly 800 years. Wanghai Tower is located in Taizhou, Jiangsu Province. 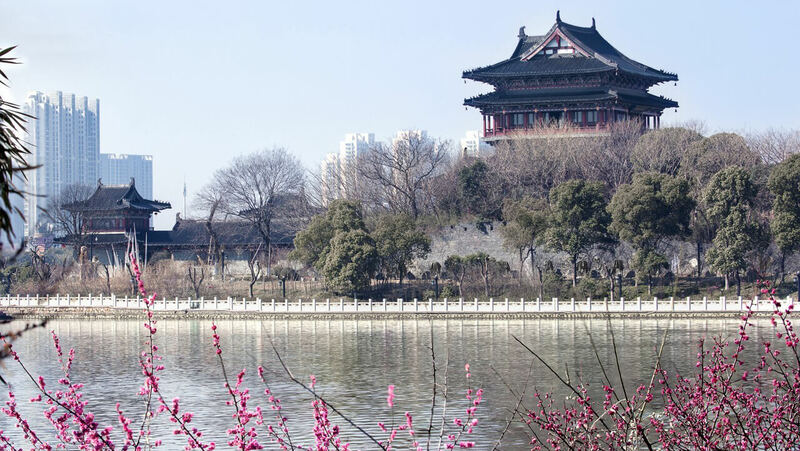 The ancient Wanghai Tower was built in 1229 and has a history of nearly 800 years. 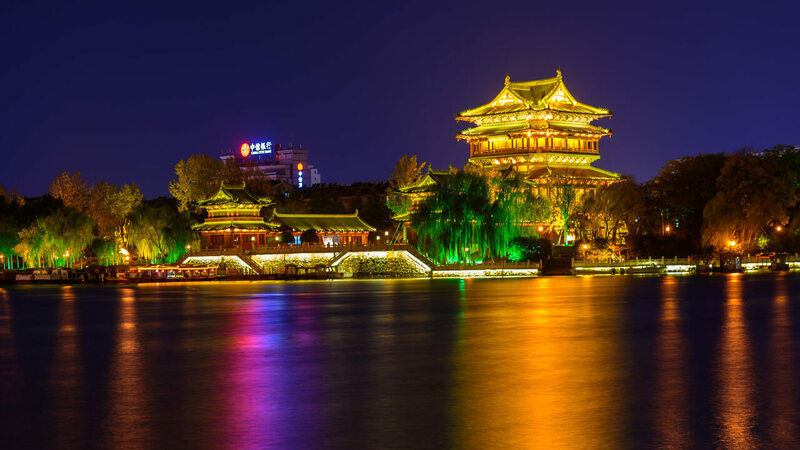 Composed of Nanmu, classical and elegant, Wanghai Tower has been the local famous resort since ancient times, was known as “The First Tower of Jianghuai”, and now is a national AAAA-grade scenic spot. This building has repeatedly been destroyed and rebuilt. It was mostly destroyed by the war or fire and rebuilt in flourishing ages. The modern reconstructed Wanghai Tower, 32 meters high, adopts the traditional Chinese classical architectural style- the appearance is with three-story ring corridor, the main building uses the color of chestnut shell and blue gray, and is of plain and imposing manner. In front of the Wanghai Tower, a century tripod, which weighs 2.8 tons and is 3 meters high, stands in the colorful flower beds. It is a symbol of the new century and is also a decoration of the new Wanghai Tower. Ancient Taizhou is close to the East China Sea. Up on the Wanghai Tower, one could overlook the sea view. But as time went by and the landscape changed, climb up the Wanghai Tower now, you can no longer see the sea, but Taizhou’s most beautiful sceneries of the bank of Fengcheng River can be taken in in a glance. 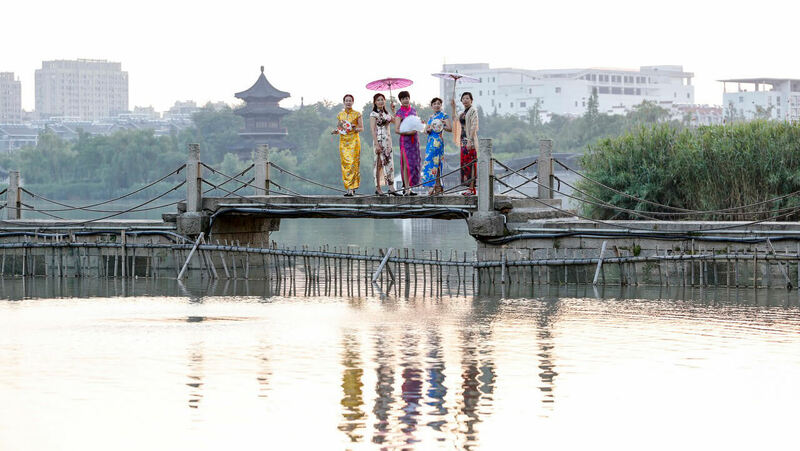 Taizhou is a water town on the northern bank of the Yangtze River. It has been a land of fish and rice since ancient times and has a rich aquatic product. The old street opposite to the Wanghai Tower across the Fengcheng River is an antique food street. There are not only Taizhou cuisines, but also traditional snacks such as sugar sculpture, dough figurine and sugar paintings. The surrounding area of Wanghai Tower has been a place where scholars and literators have been living. You can also visit the theme park that commemorates the famous Peking Opera master Mei Lanfang by the way.